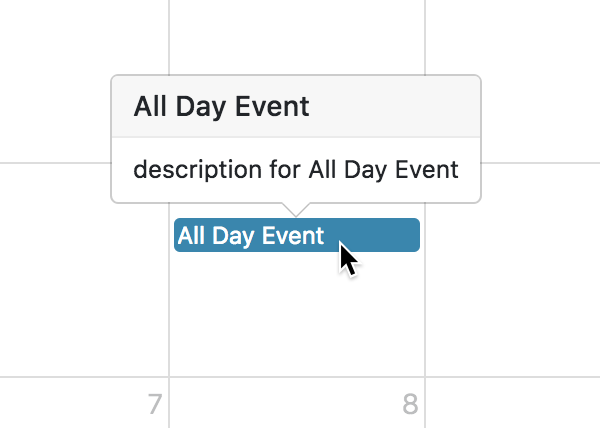 How to control the appearance of events on your calendar. 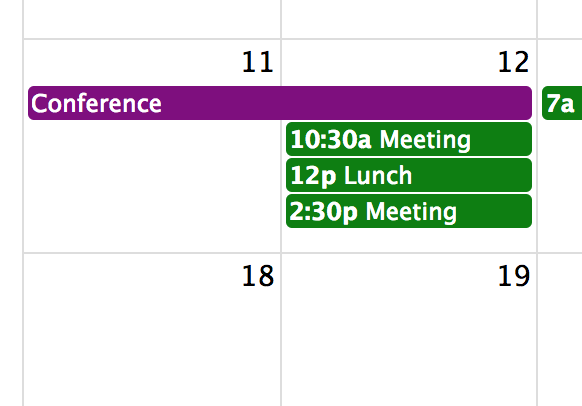 Sets the background and border colors for all events on the calendar. Sets the border color for all events on the calendar. Whether or not to display an event’s end time. When an event’s end time spans into another day, the minimum time it must be in order for it to render as if it were on that day. Determines the ordering events within the same day. When to render multiple asynchronous event sources in an individual or batched manner. Triggered while an event is being rendered. A hook for modifying its DOM. Triggered after an event has been placed on the calendar in its final position. Called before an event’s element is removed from the DOM. Rerenders all events on the calendar.